Orient Express is pleased to return as the title sponsor of the 46th Annual Orient Express IDBL U.S. Nationals at Atco Dragway, September 11-13th 2015. In conjunction with the event, Orient Express wanted to do something more, something to show its support for motorcycle drag racing, and Paint The 1/4 Pink provided a perfect opportunity. 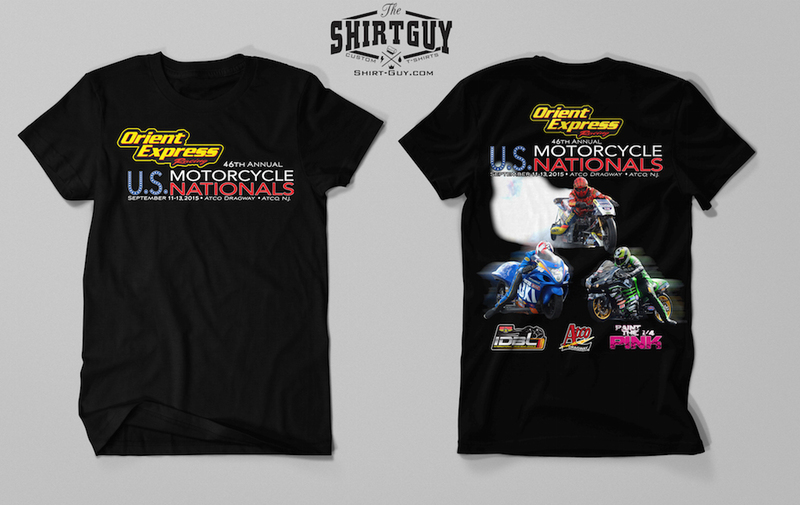 Working with Atco Dragway, IDBL, and Paint The 1/4 Pink, Orient Express is pleased to offer a limited edition t-shirt that will be sold trackside at Atco. All profits will go to support breast cancer awareness and research through Paint The 1/4 Pink. Shirts unsold after the weekend will be available for sale through Orient Express, and if demand is high we will have a second batch printed to fill orders. Orient Express celebrates forty-two years of high performance in 2015, and we are proud to sponsor the nation’s oldest continuously running motorcycle drag racing series. For more information regarding Orient Express, the products and services we offer, or to place an order – please visit www.orientexpress.com or call 800.645.6521 today.